Blue Spruce Pottery is a family owned and operated business first established in 1976. Their imagery, forms, and textures used in their Raku and Stoneware pottery are inspired by the landscapes surrounding their studio in Bend—the Cascade Mountains and the High Desert. All of their pots are made on a potter’s wheel or hand built from slabs of clay using clay and lead-free, non-toxic glazes from special formulas developed over the past thirty years. All of their stoneware pottery is safe for use in the dishwasher, oven, and microwave. Raku pottery should only be used decoratively, not for food or liquids, and cleaned only with a soft cloth and water. Visits to their home studio to browse the large selection of finished pottery and see how it’s made are by appointment only. 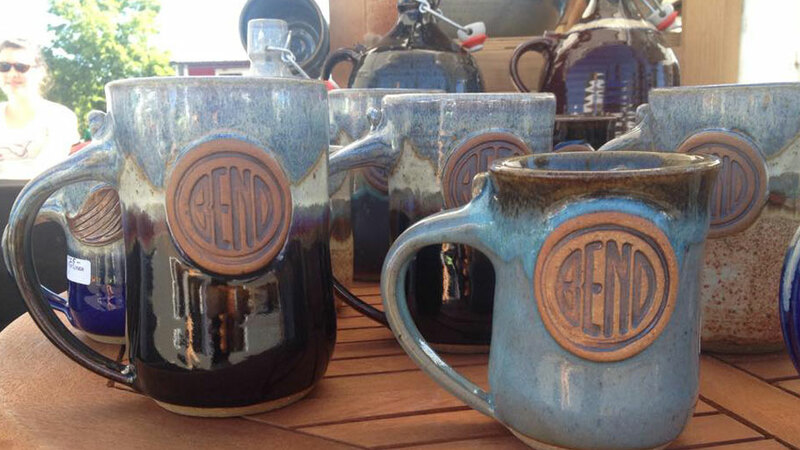 In Bend, you can also find their pottery at the Red Chair Gallery.